Mipel has always been recognized as the fundamental showcase for the best of Made in Italy. This year too the 102nd edition of Mipel, despite the negative influence of the recession, closed with impressive figures. One of Italy’s strongest national skills lies in leather and its processing, its tanning methods and the creativity that very often combines with ever more innovative and experimental technology. 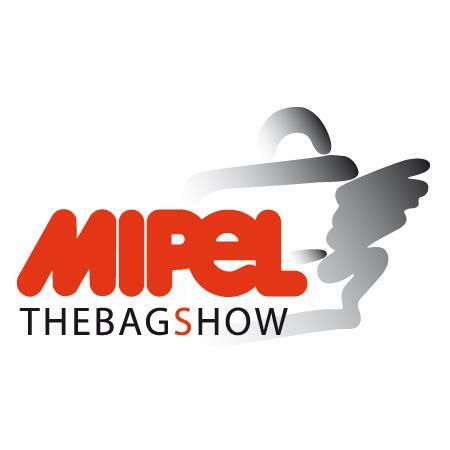 Mipel ,which took place in Milan from September 16th to 19th is restricted to industry professionals: an exhibition that presents and promotes the Made in Italy concept to the international market, allowing the leather sector to create business relationships and meet potential new customers for future collaborations. Three pavilions hosted the Mipel trade fair this year, over a total area of ​​20,000 sqm: a special show with more than 371 exhibitors, including 128 from overseas, and 400 collections. Bags, shoes and fashion accessories tell the story of a sector that surely feels the recession and has certainly seen better times but which in recent years has continued to grow and expand through its exports, because the quality and richness of the Made in Italy product makes an impression on everyone. The leather market in Italy is changeable, with numbers and figures that certainly no one would expect. The main protagonists for next season will be bags, luggage, wallets and leather goods, even more shoes, especially in foreign markets: in just the first few months of 2012 there was an increase of 25% in exports over previous years to a total of 2 billion, to those emerging countries that consider the excellence of Made in Italy as unique in the world and therefore worth imitating. Mipel has always been the fair of beauty and quality in accessories: luxury that is not necessarily synonymous with a recognized brand. “If a bag is beautiful, you see it. It ‘s beautiful to look at, to touch, to wear. It’s a feeling resulting from a sum of elements that satisfy the senses: color that pleases the eye, high quality materials that satisfy touch, even the sense of smell is delighted. And the bag, from a simple accessory, becomes an object of desire.” So Giorgio Cannara, President of Aimpes and Mipel, describes the mood of an event like Mipel, which has been the springboard for many companies that have become internationally renowned designer labels, from Coccinelle, Roberta Di Camerino, Prada and Ferragamo, to Bourbonnais and Armani. Acknowledged luxury, high craftsmanship and technology: this is what the market demands, combined with the creativity that has always characterized our country, in sought after bags, individual but always very practical suitcases, professional articles that are classics but innovative in color. Color in fact, is the main theme of next season’s trends, even for products related to the world of business: while a businessman is fairly limited in his clothing – having to wear classic and elegant pieces –the accessory becomes an essential object to express his individuality. For next summer we will see lots of African inspired art pieces, especially reproducing the Masai culture, because color gives strength and also creates a form of hope, which at this particular time is always a good thing. But it’s well known that every producer’s real dream is to put that special bon ton bucket bag or a Queen Elizabeth style handbag on the arm of the most photographed women in the world. Or perhaps to adorn her wrist with a tiny clutch, the essential accessory for a stylish woman. But how do you win the arm of Hollywood divas? Simple…by offering bags that match shoes and clothes and ensuring the highest quality materials and artisan production. For the coming spring/summer season 2013, fashion will see the return of bucket bags and the medium size bag, capable, functional and always very practical. Great appreciation was given to handmade production, visible seams, creativity, design and one-of-a-kind pieces: these are powerful weapons to fight the counterfeiting market that affects Italian companies, perhaps even more than the recession itself. That’s why we need to focus on items that are unique in their details and so are more difficult to imitate, such as only Italy can provide. Especially to continue this fight against counterfeiting, this year’s 102nd Mipel edition in Milan, organized a photo contest for the occasion, under the supervision of the Photographic Institute of Milan, giving opportunities to young designers to express messages that strengthen the power of the Made in Italy concept.